L@@K!! 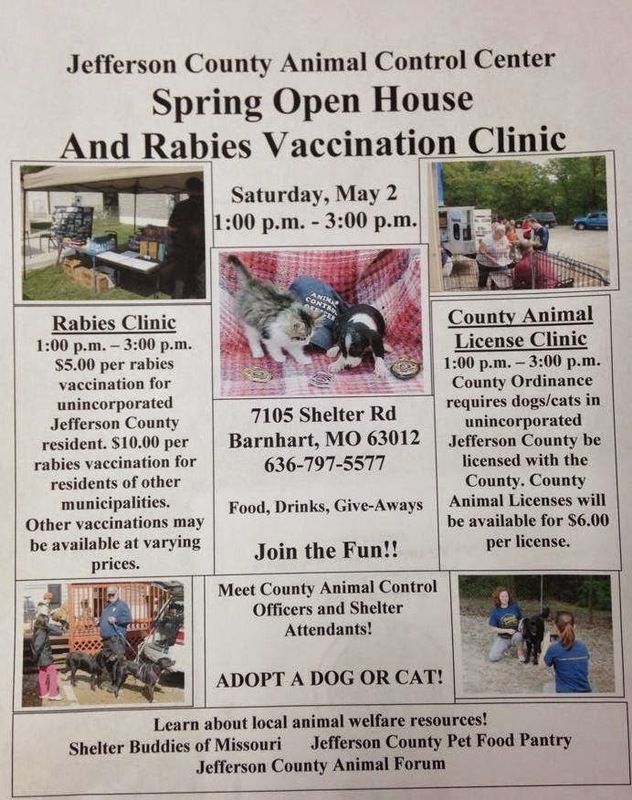 May 2nd at JCAC, Open House and Rabies Clinic 1-3 pm. Rabies for unincorporated JeffCo residents are ONLY $5.00, everyone else $10.00!! Get your required County license for $6.00 (it's the LAW)! Microchipping and other vaccinations available as well. Come by and find out how Jefferson County Pet Food Pantry and Shelter Buddies of Missouri have been working in conjunction with Jefferson County Animal Control to insure the safety and wellness of our pets! Mark your calendars and SHARE! !